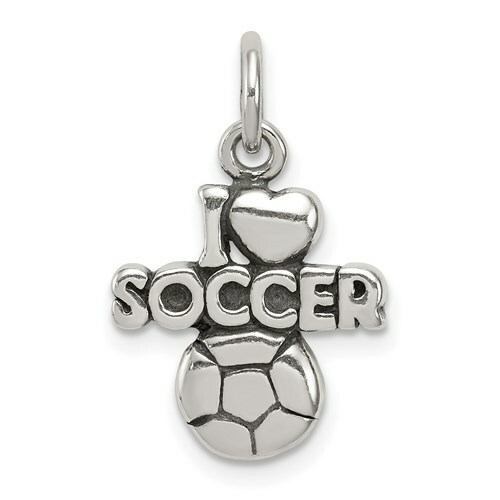 Antiqued sterling silver I love soccer charm. Weight: 1.7 grams. Measures 1/2 inch tall by 1/2 inch wide. This charm is half the size of a quarter. Imported. Great charm for my Pandora bracelet! Love the price and quality of the piece.